Netflix has several videos on the state of our health and food supply. This is a review of a film originally released in 2011 called Forks over Knives. The title hints at its better to use your fork to improve your health than a surgery to correct a problem. I like to educate myself about health issues. I don’t take what I read without doing some research. I also rely heavily on my own experience and my road to improved health over the past decade. Much of the information in this video lines up with my experience, some does not which I’ll comment on. My personal experience tells me that plant based diets and reducing consumption of meat and diary products has improved my health. Forks over Knives is like two movies, the first talks about two Doctors research and several peoples personal experiences, the latter part introduces how the Western Diet effects the environment and quotes a UN study. This is where my support fades. our children’s lives may be less than ours. health care is a major cost to society. Obesity, heart disease, diabetes, high BP are all diet related health issues. there a single solution to all these problems. We need to adopt a whole food plant based diet. The answer is not a pill, its spinach. The movie is by Lee Fulkerson and documents his health challenges. I’ve linked to a YouTube video where he explains. Drs. Matt Leterman & Alona Pulde are followed in the video. Both incorporate whole plant food nutrition diet into treatments. Dr. Caldwell Esselstyn. See YouTube video just below. 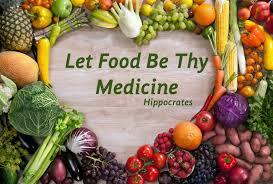 He that takes medicine and neglects diet, wastes the time of his doctor. in early 1900 beef was considered the main source of protein, still is today. in the 1960’s coronary heart disease started to build. Cholesterol started to build up in blood vessels. Dietary cholesterol found in milk, eggs, meat tends to stay in blood stream causes plaque and is major cause of heart disease. Casien, a protein in milk can turn on cancer. High fructose corn syrup made from corn introduced in the 60’s is main cause for obesity. Mechanism for being satiated is being fooled causing us to overeat. conclusion is whole plant based food is beneficial to human health, animal based food is not. The doctor of the future will not longer treat the human frame with drugs, but rather will cure and prevent disease with nutrition. sudden death is often only sign of coronary disease onset. We are fooling ourselves when we think we’re healthy or that our diet is adequate. 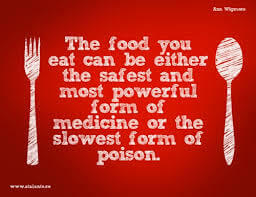 We have to take charge of our health and be our own advocate. Improving our health is not one thing, its making several small changes. Relying on medications to improve our health does not work, they are important but keep us ill. Healthy, whole foods should not be more expensive than fast or processed food.